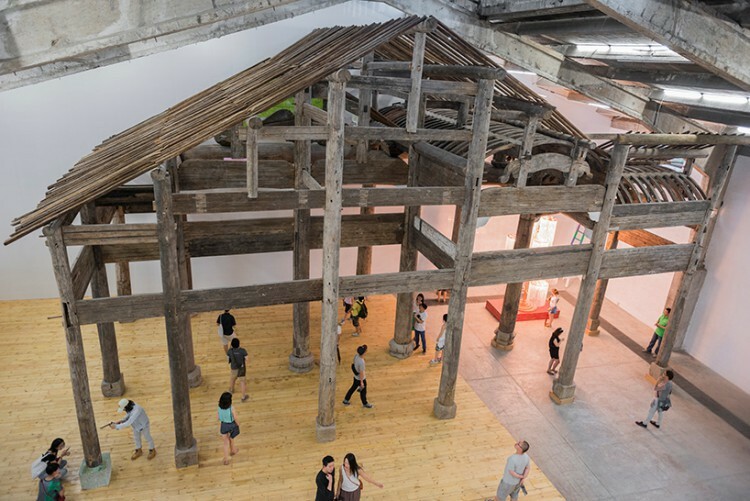 Chinese artist Ai Weiwei is showing a solo exhibition in his home country for the very first time at Galleria Continua in Beijing. 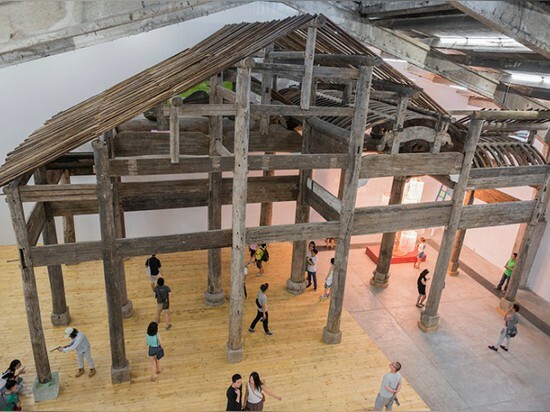 Curated by Cui Cancan, the exhibit fills the gallery as well as the adjacent Tang Contemporary Art Center. 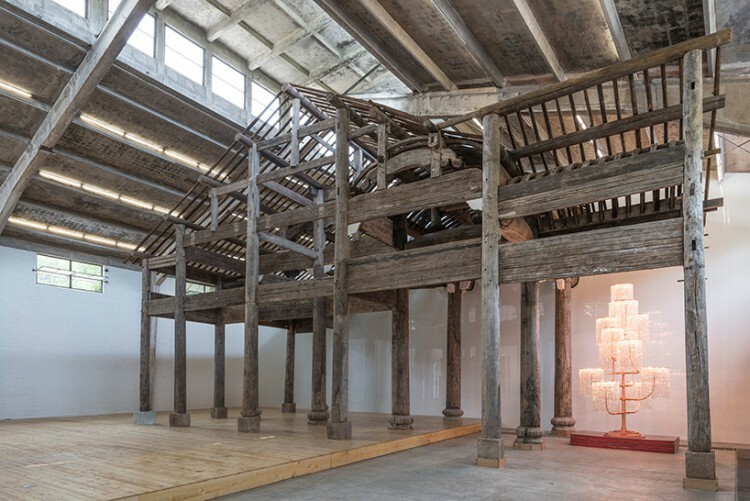 The ambitious project consists of a meticulous rebuilding of the historic Wang Jiaci, the Wang Family Ancestral Hall of the Ming period, dedicated to the cult of Prince Wang Hua who reigned during the 6th century A.D. 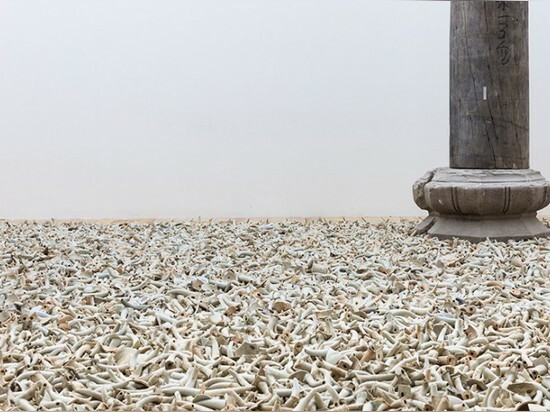 Embodying social and political awareness as well as deep respect for Chinese tradition, the work reinterprets ancient themes in a contemporary context. 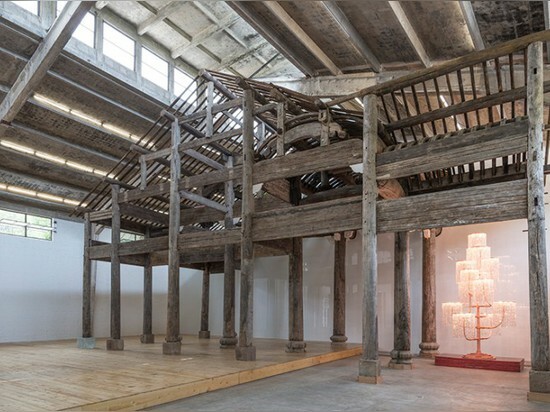 Wang Jiaci, considered a sacred place of worship for hundreds of years, was reconstructed from over 1500 pieces. 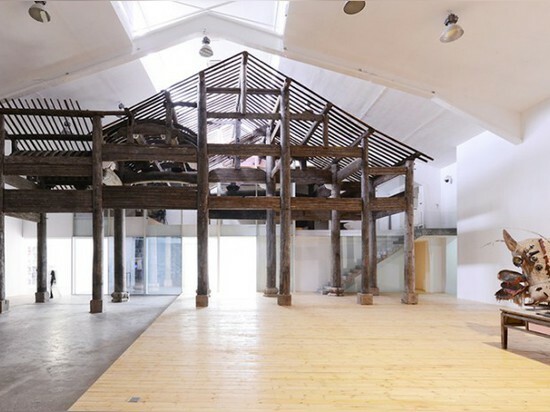 It served as the site of offerings and cult ceremonies for ancestors as well as social activities and meetings for the Wang family. 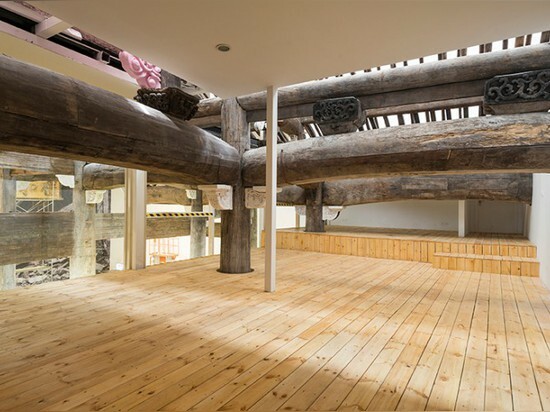 The structure’s framework, which stems directly from Chinese philosophy, consists of columns and wooden beams used over one thousand years ago that are completely independent and detachable from the walls. 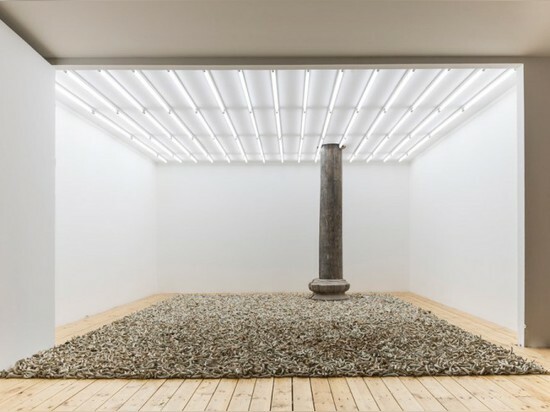 In this new context, the temple takes on a new shape and meaning, which means that visitors can only ever see part of the work. 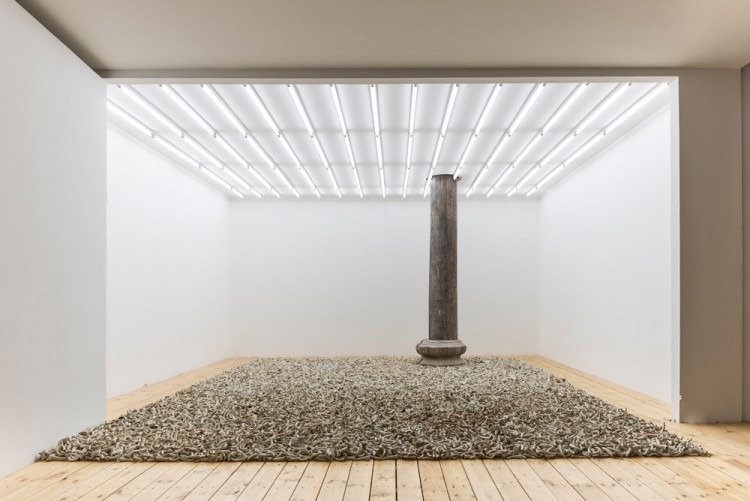 But though they’ll never experience the structure as it once was, visitors will be able to appreciate the impact of not only artistic but socially conscious action. 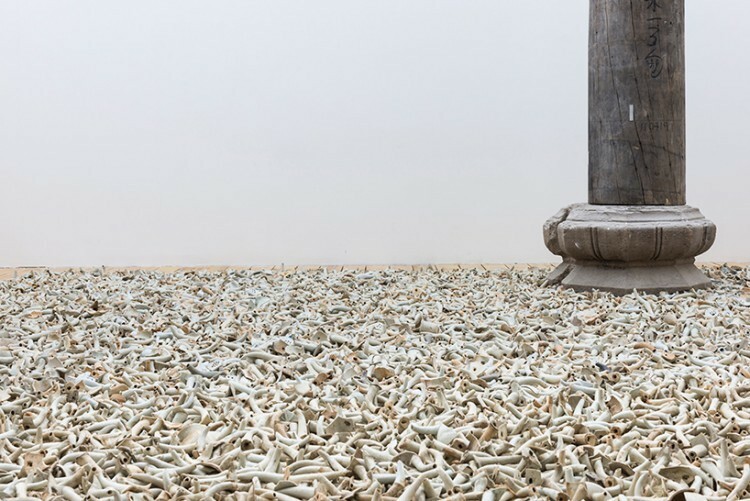 Detail of Spouts Installation, 2015 (also seen above), which contains 10,000 antique spouts from Song to Qing dynasties. 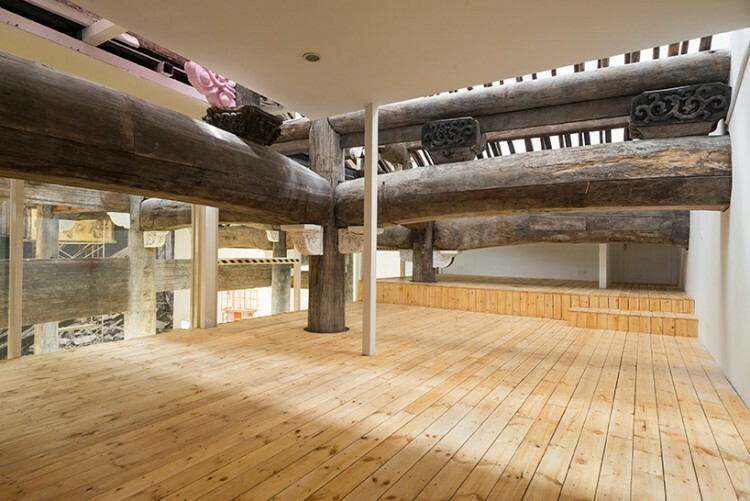 Wang Family Ancestral Hall, 2015 (2100×1680×942 cm) – made up of over 1,300 pieces of various wooden building elements from the late Ming dynasty (1368-1644). 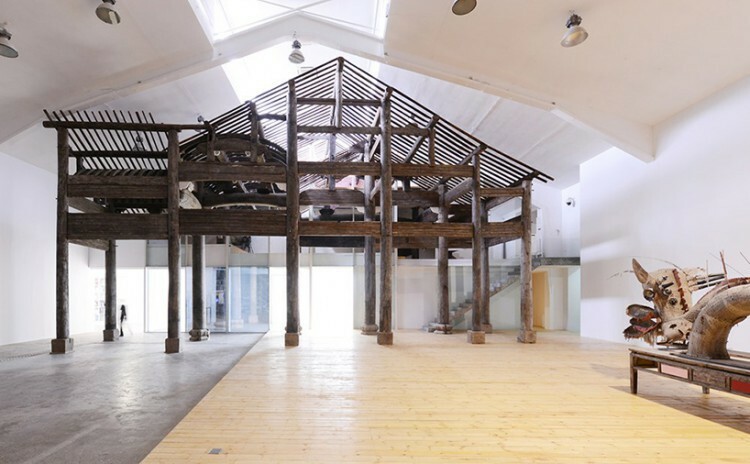 The elements include original carvings and painted replacements.